Let's lay it on the line right now: If you haven't heard of Johnny "Bones" Jones, you haven't a remote interest in MMA. Don't worry; I don't think (much) less of you. At 23 years old, Bones has walked into the UFC and practically decimated everyone placed in front of him. The only reason I say "practically" is due to his relatively quiet entrance into the UFC, where he defeated an always game Andre Gusmao by unanimous decision. His next fight was featured during the live portion of UFC 94, where he faced Stephan Bonnar. 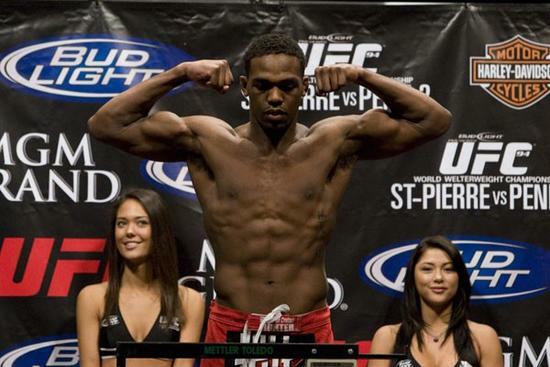 While Jones didn't finish the fight, the maneuvers he was able to pull out were absolutely jaw dropping. He had announced his presence, and this is where the "practically" ends.